In recent months, security researchers have unearthed all sorts of new hardware vulnerabilities. Several of them allow hackers to quietly assume control of your PC’s built-in camera or microphone, giving them the ability to spy on you and invade your privacy at will. 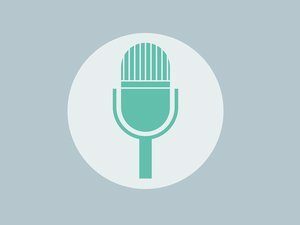 Recently, Microsoft added a new feature to their OS that will give you a visual cue any time your mic is being accessed by an app running on your system. Unfortunately, the new upgrade isn’t available to the general public yet, If you’d like a sneak peek, you can get it by enrolling your machine in the Windows Insider program and downloading the 19H1 Fast Ring build, 18290. Any time an application is using your mic, you’ll see a small colored dot on the microphone icon on the taskbar. When you hover your mouse over the new microphone icon in the taskbar, you’ll get a list of which, if any apps are currently recording. Double clicking on the icon will take you to the Microsoft Privacy Settings page. There has been no official word from the company on when the new feature will be finalized, or when it will be rolled out to the public, but typically, Windows 10 receives updates twice a year. It’s a simple, valuable addition we’re looking forward to.